After releasing the pulpy sci-fi shooter Bulletstorm, the three founders of People Can Fly took a leap of faith and founded a new studio called The Astronauts. 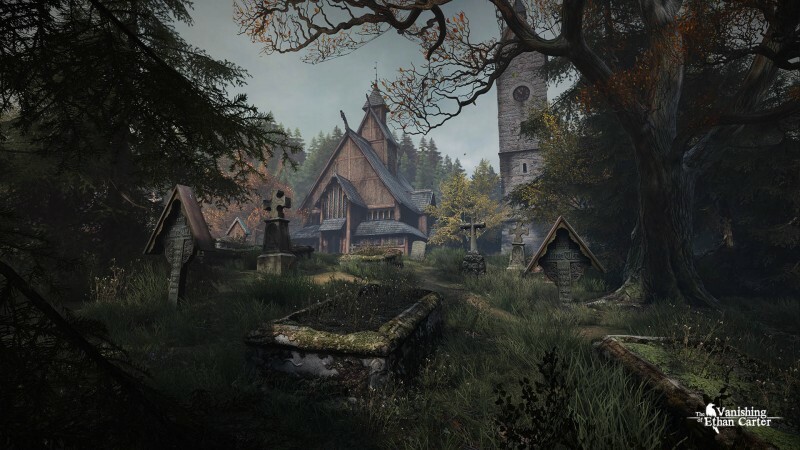 For the past couple of years, this indie team has been working on a moody adventure game called The Vanishing of Ethan Carter. 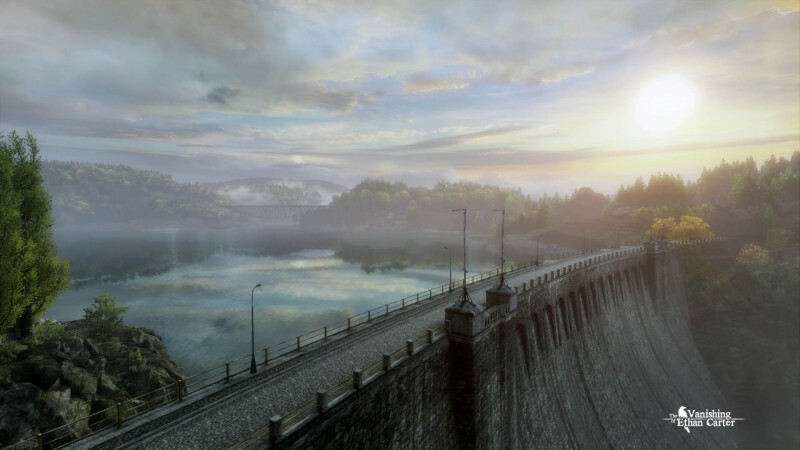 Even though this atmospheric title uses a first-person perspective, it couldn’t be more different from its founders’ pedigree of relentlessly intense shooters. Thankfully, The Astronaut’s first project is as refreshing as it is surprising. 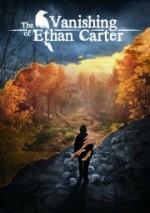 Players dive into the role of a supernatural investigator named Paul Prospero who was summoned to the rural county of Red Creek Valley after reading a letter from a boy named Ethan Carter. Ethan seems like a well-meaning kid, but he has an unusual gift that allows him to see the dark realities others cannot. After Ethan accidentally opens a door into a separate dimension, he unleashes a creature called the Sleeper, who possesses his family and turns them against each other. As Paul wanders through Red Creek Valley’s twilight-lit hills, he stumbles across the aftermath of this event and pieces together a series of murders to discover Ethan’s fate. A chain of notes and short stories written by Ethan are scattered across the environment and contribute to the unsettling atmosphere. The story is so compelling that I found it hard to put the game down until I’d pieced together the final mystery and discovered the delightful twist ending. Unlike traditional adventure games, you don’t run across a series of village inhabitants or acquire a laundry list of strange gadgets that let you unlock new areas. Instead, most of Red Creek Valley is open to explore from the outset, and while the tale generally funnels you in the right direction, it’s still easy to overlook your next destination and get lost wandering in the forest until the suspense begins to dull. A map or some kind of destination compass would have gone a long way toward smoothing out the pacing. 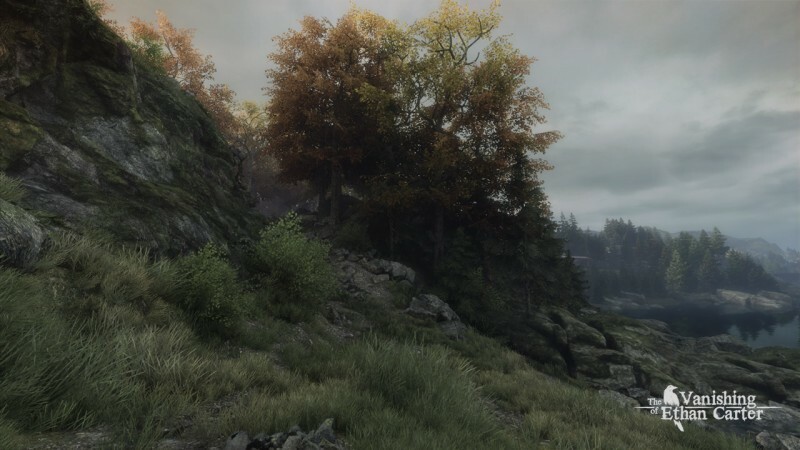 If you’re willing to put up with the loosely structured gameplay, Ethan Carter present a series of captivating mysteries. All of Paul’s investigations begin when he finds the body of one of Ethan’s relatives. Cautious investigators will enjoy scouring each crime scene for clues, such as a bloody rock that could have been used as a weapon, or a sharp tool used to cut the power to an elevator, or severed ropes that look like they had been used to tie someone to a pair of train tracks. These objects usually aren’t too difficult to find thanks to Paul’s psychic abilities, which highlight points of interest within the environment. 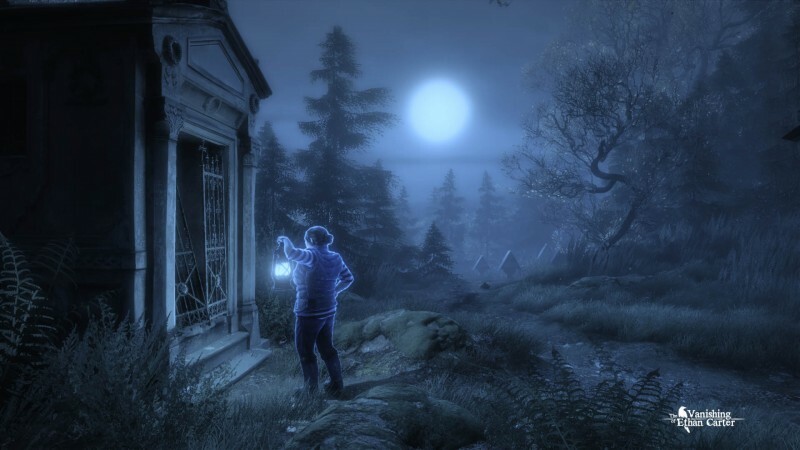 Once all of an investigation’s clues have been found, Paul can commune with the dead and receive a series of snapshots from the event. For me, the most rewarding element was piecing these snapshots together into a logical sequence that ultimately rewards you with a full account of how each victim died – and a cryptic vision that points you one step closer to finding Ethan. Outside of these investigations, a few odd tasks give you additional reasons to explore Red Creek Valley. During one moment of the game, I was chasing a mysterious figure through the forest. 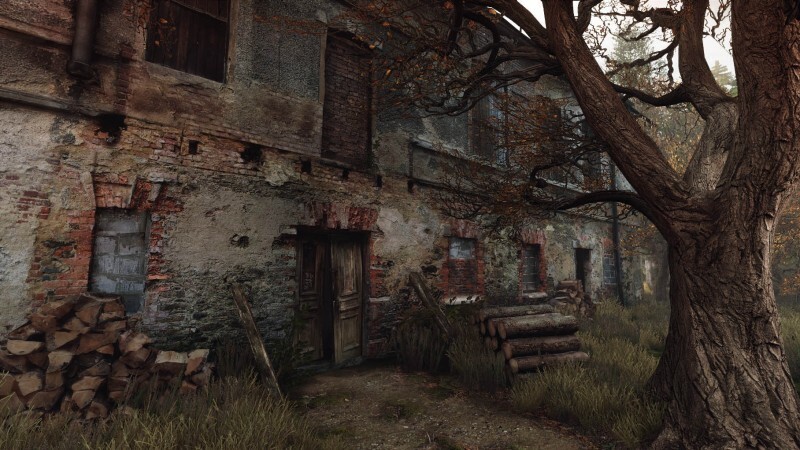 During another, I stepped through a series of portals that had me teleporting across a derelict mansion in order to find its hidden room. While these sequences are rarely challenging, they do ensure that you never know what to expect next. project is as refreshing as it is surprising.